by Hugh Whitemore based on the book 'Alan Turing: The Enigma' by Andrew Hodges Secrets, lies and the art of mathematics are brought to life in Hugh Whitemoreâ€™s â€˜Breaking the Codeâ€™. In the leafy surroundings of Bletchley Park at the height of the Second World War, a brilliant young Cambridge mathematician called Alan Turing was trying to create a machine â€“ a machine that would crack the German Enigma code and win Britain the war. In the aftermath of victory, Turing arrived in Manchester with an even bigger task in mind â€“ the development of the modern computer. This would be a task he left unfinished. 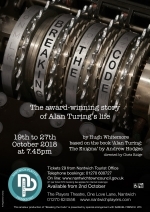 Hugh Whitemoreâ€™s classic play intertwines an account of Turingâ€™s most heroic hour with the story of his betrayal and neglect by the nation he had helped in its darkest hour. â€œHis mind was dazzling and one of the wonderful things about this play is that it allows you to share in the splendor of what he achieved without having to understand the superhuman complexity of the mathsâ€. BREAKING THE CODE tells Alan Turingâ€™s story, and asks big questions about the pressures of breaking both social and mathematical codes. Directed by Chris Ridge, performances will be at 7.45pm on 19th â€“ 27th October, 2018. 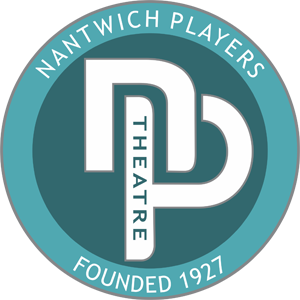 Tickets priced at Â£9.00 will be on sale from Nantwich Tourist Office (01270 600727) or on-line at www.nantwichtowncouncil.gov.uk from Tuesday 2nd October 2018. Priority tickets for our VIP Supporters go on sale Saturday 29th September at the Theatre. To find out more about becoming a VIP Supporter visit the membership section of the website.